The Green Girl tries to coordinate at least one free or low cost activity each month for the Long Beach SparkTeam. For the month of March, one of the SparkTeam members arranged for us to attend a mat pilates class with Clint Bigham, the owner of 2020 Fitness. After a challenging mat pilates session, he encouraged us to try out some of his equipment. 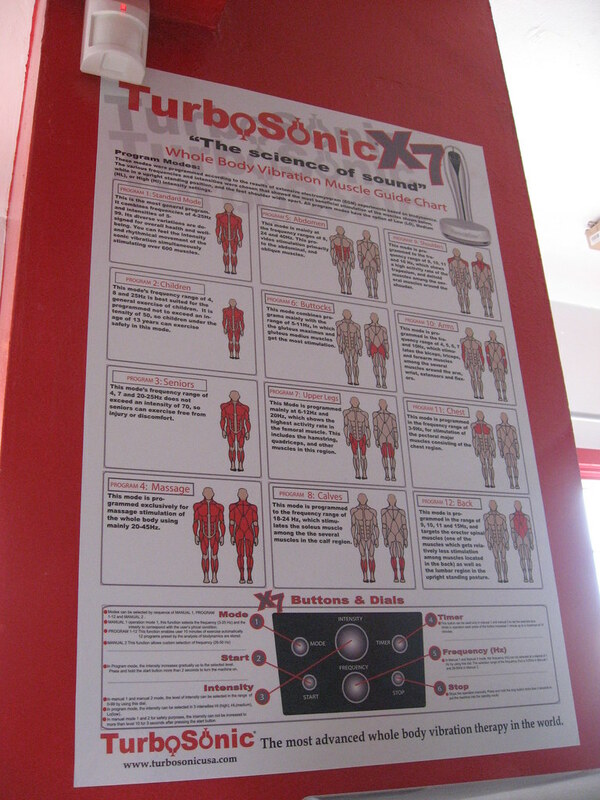 There was an InBody body composition analyzer, TurboSonic vibration therapy devices and Vibraflex machines. 2020 Fitness also has an infrared sauna. This was the first time I was exposed to whole body vibrational technology. To start off, I tried out the Nuga Best Therapeutic Thermal Massager. I took off my shoes and lay down on the bed. Rollers went up and down the length of the bed along my spine for an intense massage. I could feel some of the tension in my lower back being released. My feet rested on the tourmanium ceramic plate on the end of the bed. The Thermal Massage Bed is supposed to also promote Chi 氣 flow through the body. This automatic acupressure thermal massage system is essentially a bed with projectors made of Jade that roll up and down and massage your body. The Jade stones contain minerals, calcium and magnesium. According to the manufacturer, when the deep infrared heat rays pass and penetrate through the Jade stones special crystalline layers, the stones emit a specific wavelength and frequency that correspond with certain elements in our body. Nuga Best also says when the tourmanium ceramic is heated, it emits deep infrared rays and negative ions. They claim this helps treat illness and pain while strengthening the body's immune system. After getting a really good massage, I decided to go try out one of the whole body vibration machines. This particular vibration machine essentially looked like a giant scale. I stepped on it and pressed the button to turn it on. Immediately, the machine started violently shaking my entire body. Even my teeth were chattering. A few of the 2020 Fitness regulars commented that they swear by these full body vibration machines to help them recover quickly after their workouts. I wasn't too crazy about the vibration sensation so I turned off the machine and stepped off. I love being exposed to things that are new and different so I'm really glad the Long Beach SparkTeam had the opportunity to experience the different types of equipment at 2020 Fitness. When you do, make sure you check out all the cool equipment! What do you know? I'm doing research on this particular guy and up pops your website. It's you, who I've met via Yelp due to the LB Marathon. I just purchased today's Groupon for this studio and can't wait to use it! 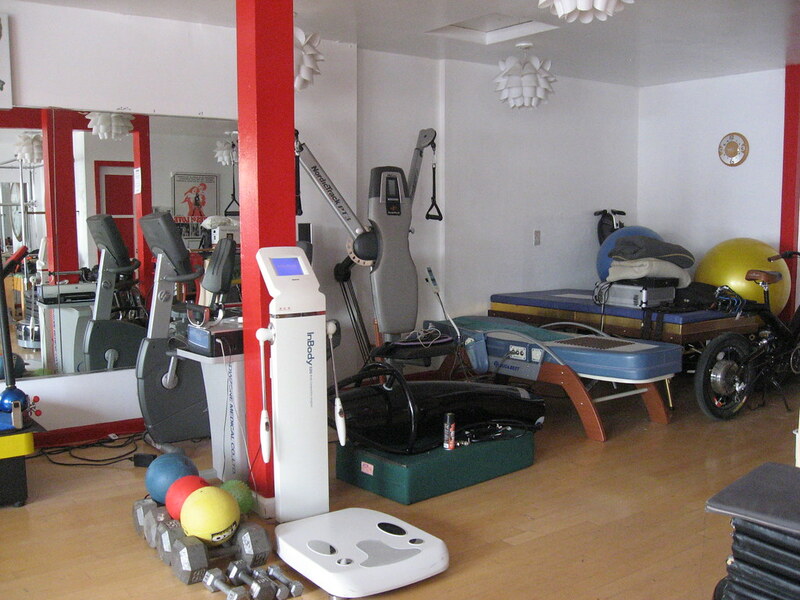 Nice and informative information shared by your blog on Vibration Therapy Machine. I really appreciate it.